Bundelkhand Medical College in Madhya Pradesh has regained its affiliation with the Medical Council of India. This grant was given to the college after MCI inspected the college, along with other colleges in the region who sorted affiliation. The director of medical education Dr GS Patel has confirmed the news further implying that the after having been suspended by the MCI for affiliation, this time round the MCI team visited the college for inspection and gave a nod to the affiliation. After the suspension, the academic year 2015-16 at Bundelkhand Medical College was declared as zero year. However, this time the shortcomings pointed out by MCI was taken care of in advance, before the inspection, implied DME. In addition, DME informed that the state has received a an approval from the government on its proposal to increase the intake of the five government medical colleges in the state. A proposal had been sent to the Medical Council of India and government of India to increase 450 seats in the colleges. The details given in the proposal confirm the allocation of these additional 450 seats, with 100 seats each in Bhopal, Jabalpur, Gwalior and Indore and 50 to be added in Rewa Medical Colleges. As reported by FPJ, he also informed that the MCI had also inspected the Gandhi Medical College of Bhopal and it had decided to continue the affiliation of the College. The status of the other inspected colleges is in the dark. 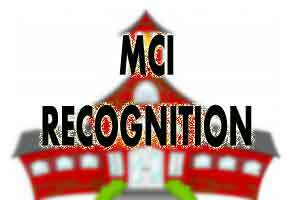 The MCI had inspected three private medical colleges Mahaveer Medical college, Bhopal, Amaltas Medical College, Indore and Sakshi Medical college, Guna.